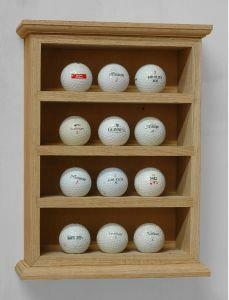 Custom make storage for your golf equipment and accessories with help from these DIY golf equipment storage plans. 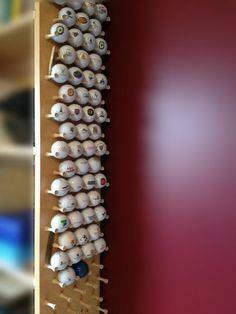 You’ll find many ideas to neatly store your equipment and display cherished mementos from your favorite sport with these attractive and useful projects. 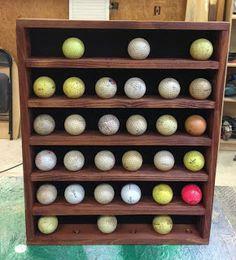 Whether you need a place in the garage to hold your clubs, bags and supplies, or want a trophy piece in your den to show off your collection of winning golf balls, you’ll find plans, instructions and materials lists that make your woodworking project a breeze. 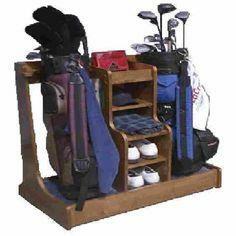 Create a beautiful piece of furniture for your family room or build a simple storage caddy for your garage. 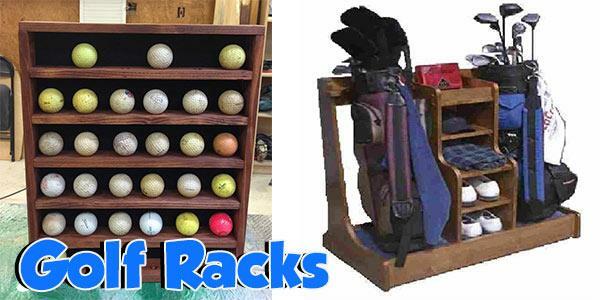 The plans could be adapted for other sporting equipment like baseball bats, hockey gear or fishing tackle, and you can customize the plans to suit your space. Suggested materials include scrap lumber, MDF board, plywood, reclaimed lumber, hardwood and molding.